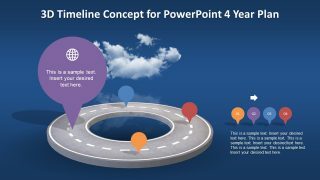 The Animated 3D Timeline Concept for PowerPoint is a latest roadmap template design. It is a 4-year plan and progress presentation, showing four milestones on the road. 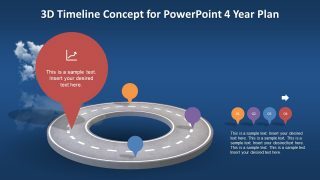 The graphical timeline template is a creative design which shows the round roadmap with segments of labeling units. 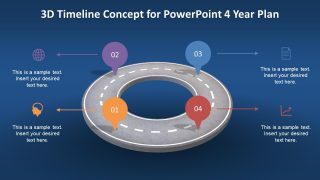 These labels can represent progress, phases, and timeline of the project in four stages. 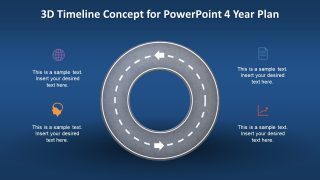 This four-stage process cycle is suitable for business presentation. Like demonstrating the strategic planning to achieve specific targets in 4 periodic stages. 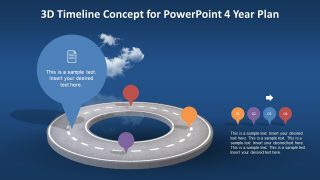 The 3D layout of timeline provides the amazing experience to the audience. For example, the blue background photo with cloud illustrates the realistic view of the sky. 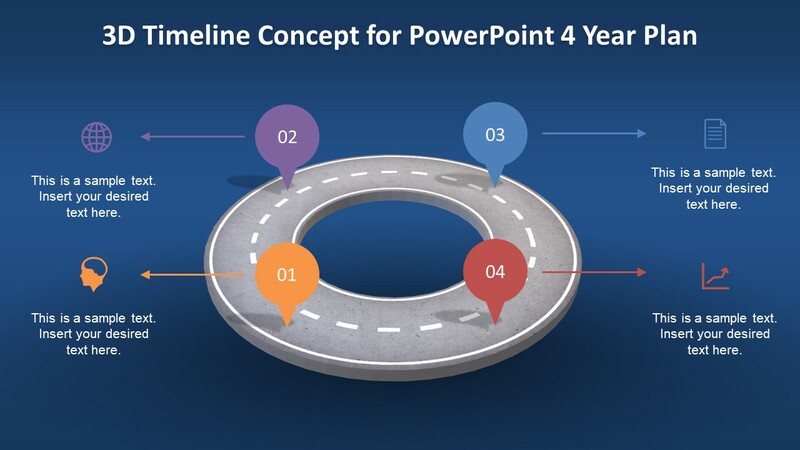 And, the circular PowerPoint shape of the road creates a remarkable 3D animation. 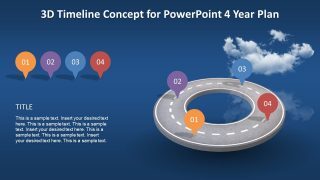 The Animated 3D Timeline Concept for PowerPoint of milestones template has seven layout slides. 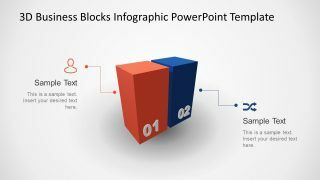 The first slide provides an overview of the concept to its viewers. Whereas, the four following slides highlight one milestone at a time. These milestones display an impressive animation of 3D shapes. 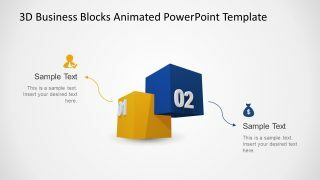 While it is a project planning and management PowerPoint presentation of stunning graphics and animations. It provides colorful labels as milestones of timeline concept. And, the customization of design features like the change in colors from shape fill option. Apart from colors, the users may edit the size, icons, and placement of elements. Further, they can modify the animation properties of 3D objects from the menu. 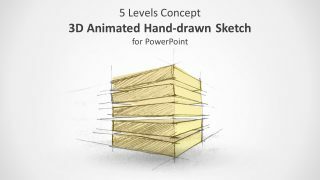 The Timeline concept PowerPoint of 3D animation also provides the 4 steps diagram slide. Here, the clipart icons represent each step in the diagram. Whereas, the placeholders are available to insert relevant textual content. It is a ready-to-use timeline planning template. 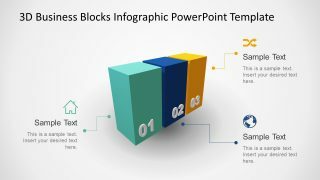 The presenter can personalize the content according to business requirements in a few clicks. 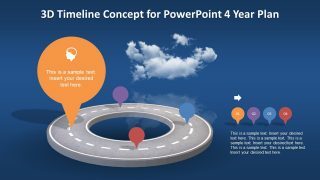 The 4-year planning timeline template in PowerPoint shows the moving roadmap as 3D animation.